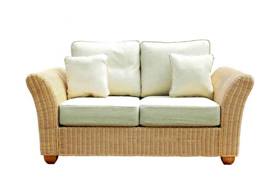 Black weave with Vanilla cushions. 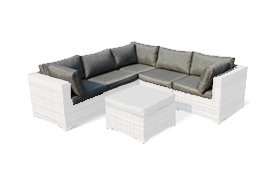 Includes 2 corner sections, 1 angled corner section, 2 mid sections and 1 angled coffee table/ottoman. 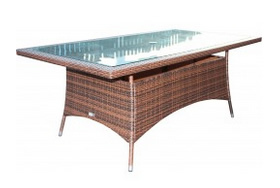 Coffee table includes glass top AND cushion. 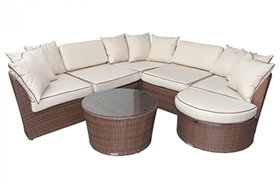 Doubles as a table and as seating. 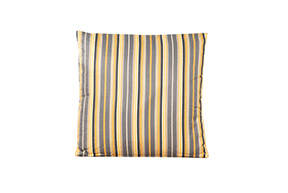 Cushion covers showerproof, removable and machine washable (best at 30 degrees). 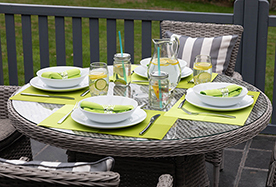 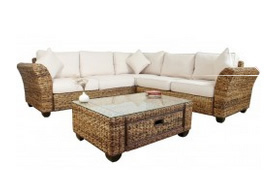 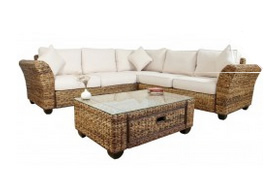 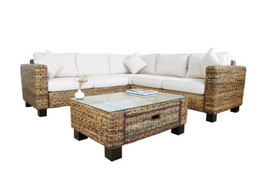 High quality PE Rattan resin-weave: UV-resistant, anti-fade. 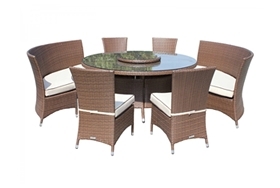 Flexible and stylish at a superb price. 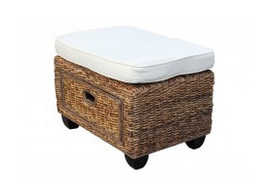 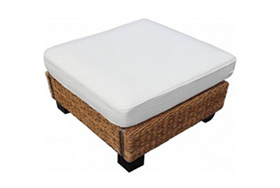 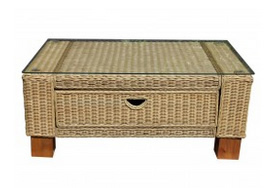 Angled Coffee Table/Ottoman: W142 D76 H32 (H43, including cushion). 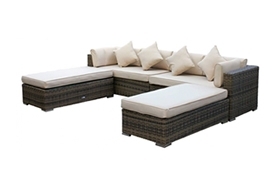 The fully woven black rattan frames act in perfect contrast to the luxurious vanilla cushions, creating in a contemporary feel, sure to impress friends and neighbours alike. 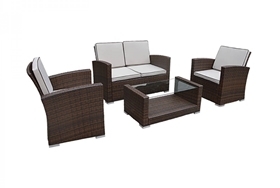 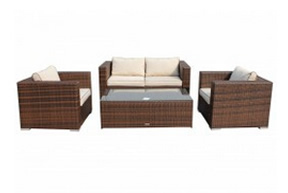 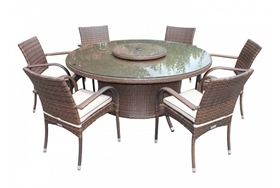 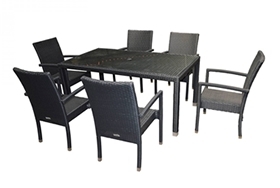 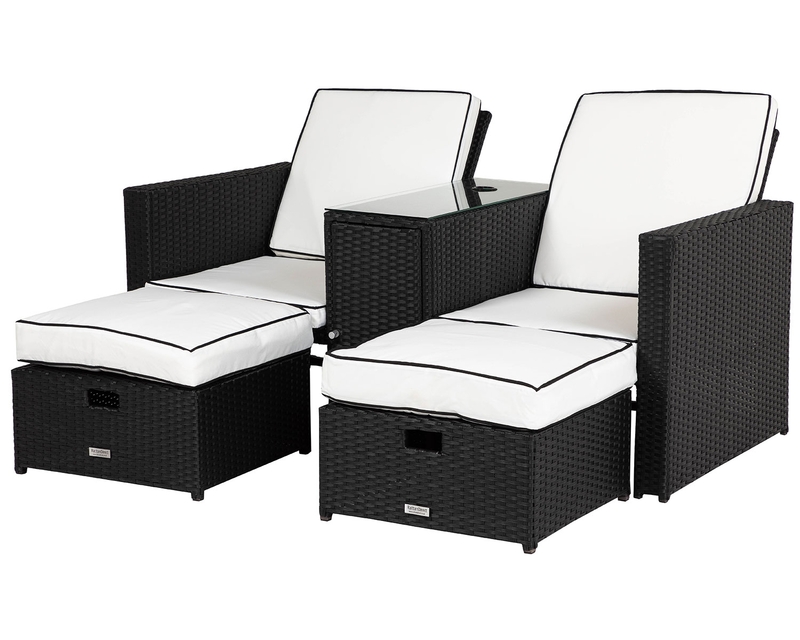 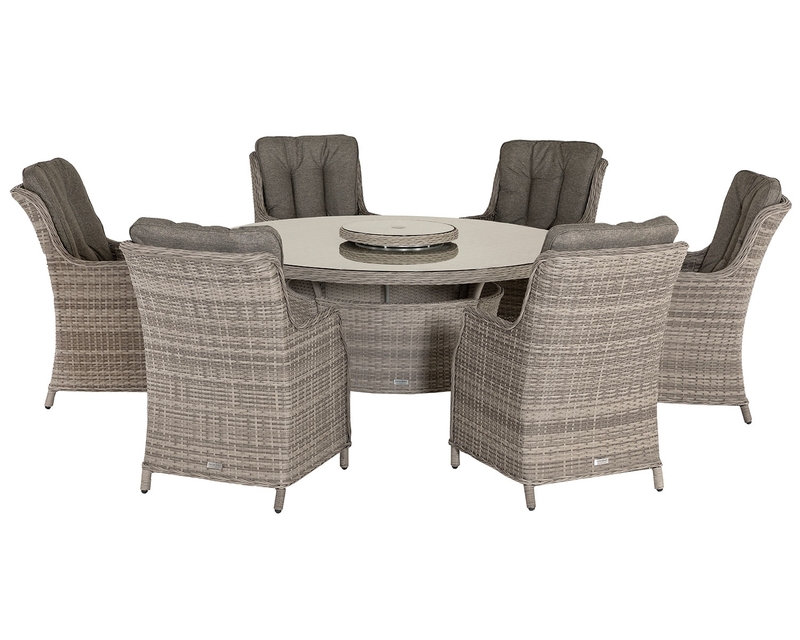 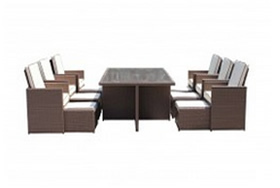 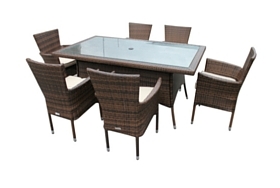 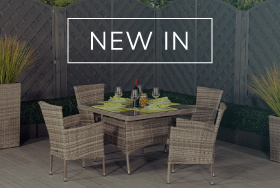 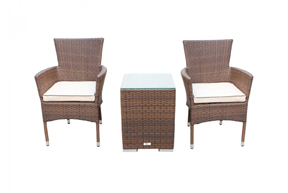 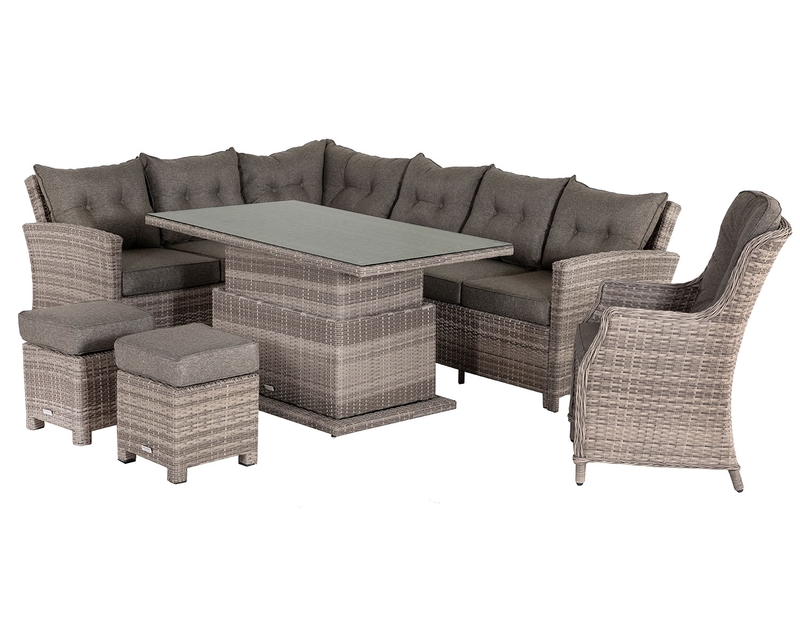 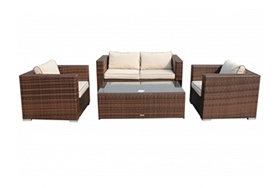 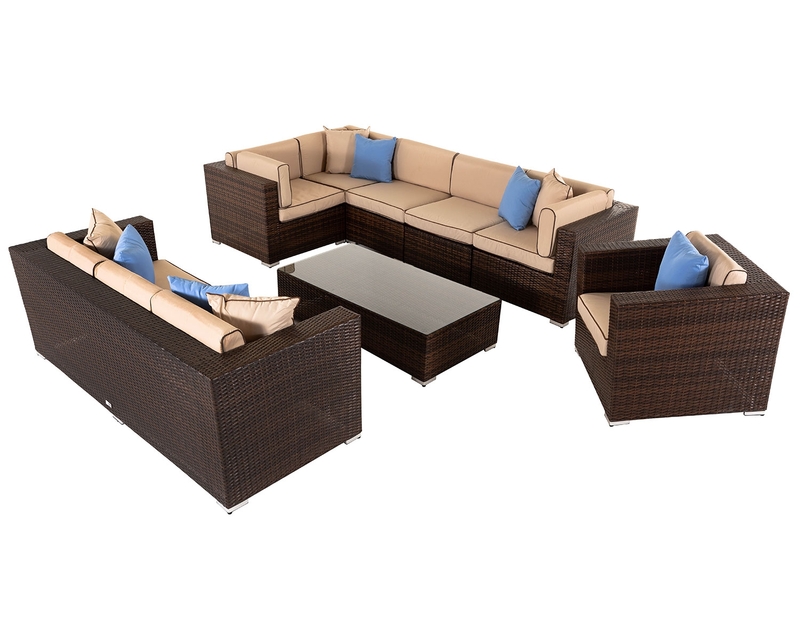 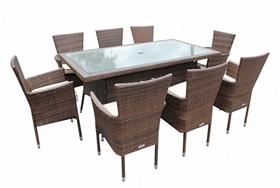 The 6 Piece Florida set is fully modular, meaning that it can be rearranged to suit even the most awkwardly shaped gardens or conservatories. 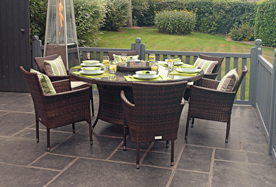 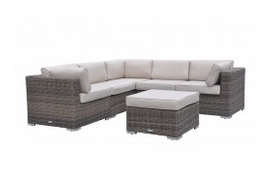 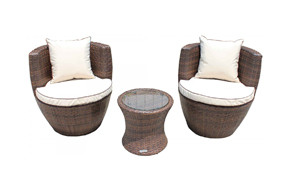 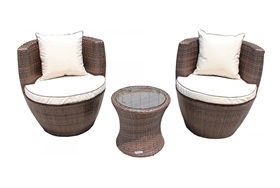 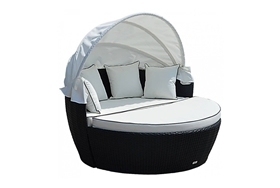 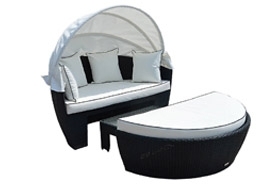 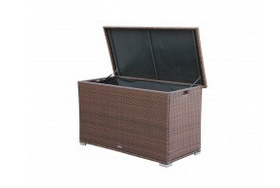 The synthetic PE-rattan weave is UV protected and wipes clean, meaning that, with the exception of the cushions, you can leave your set outside all year round. 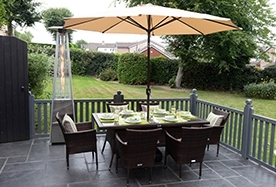 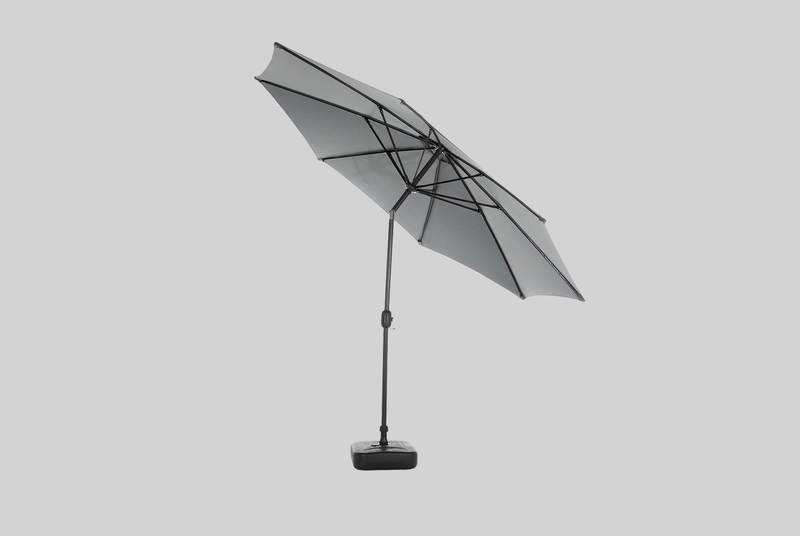 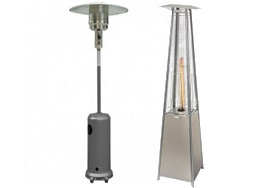 In addition, the powder coated aluminium frames are strong, lightweight and fully rust resistant. 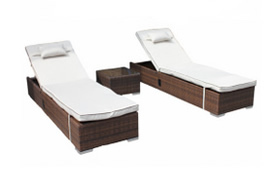 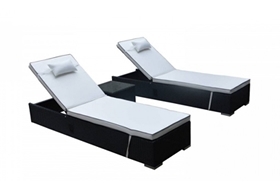 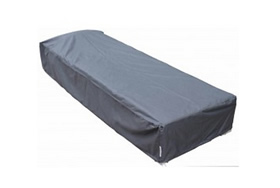 To increase the lifespan of your furniture even further, a full set of outdoor covers are provided, free of charge. 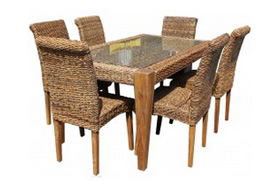 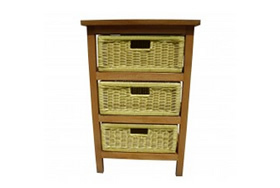 We have such confidence in the quality of our furniture that everything comes with a 5 year structural warranty. 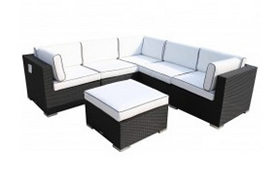 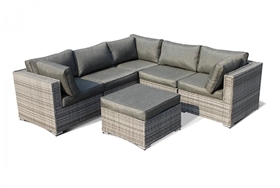 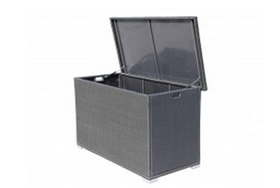 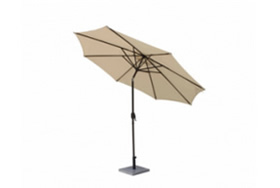 We also operate under a 14 day no-quibble returns policy so that, in the unlikely event that your furniture doesn’t suit your garden, you have the safety net of returning it to us. 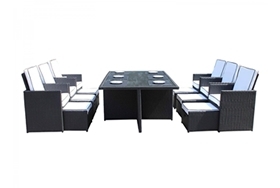 This lets you place your order in complete confidence that you will be totally satisfied with your new set.